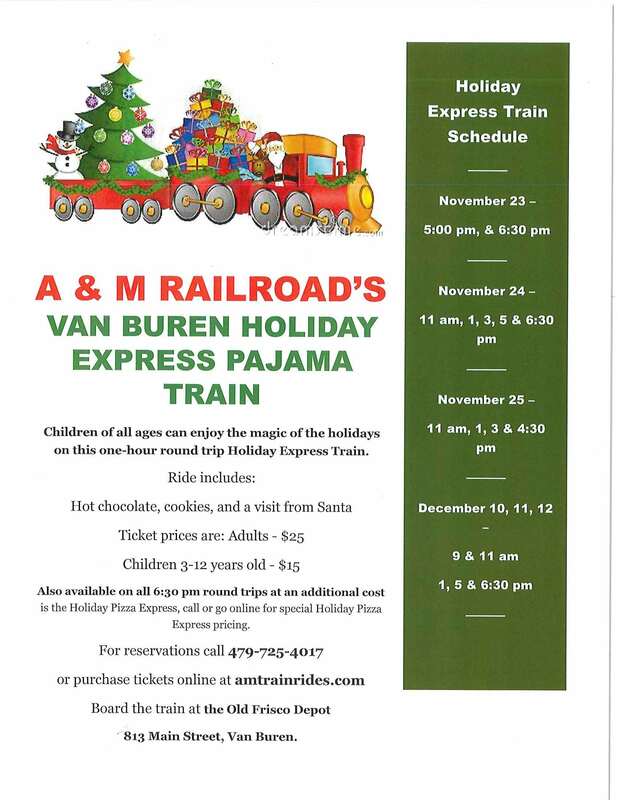 Children of all ages can enjoy the magic of the holidays on this one-hour round trip Holiday Express Pajama Train. Ride includes: Hot chocolate, cookies and a visit from Santa. Also Available on all 6:30 pm round trips, at an additional cost, is the Holiday Pizza Express. For pricing and to purchase tickets call 479-725-4017 or online at amtrainrides.com. Board the train at the Old Frisco Depot at 813 Main Street, Van Buren.